By now you know I have a sweet tooth and I am a sucker for food that fits a theme. Of course that means summer parties need summer treats. These watermelon cake balls fill that need. They are relatively easy to make and they are cute as can be. The best part is you can make them a few days ahead of a party, leaving you plenty of time to do everything else as the event rolls around. Make a set for your next BBQ, surprise your family with fun mini watermelons at your next picnic of be the hit of your next potluck. There are a treat that will not soon be forgotten! 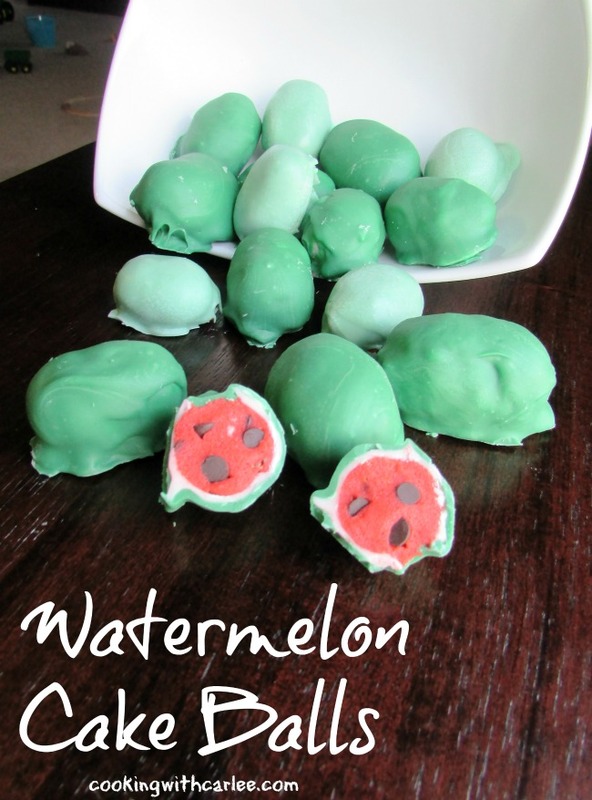 I am sharing this recipe over at Creative K Kids today! 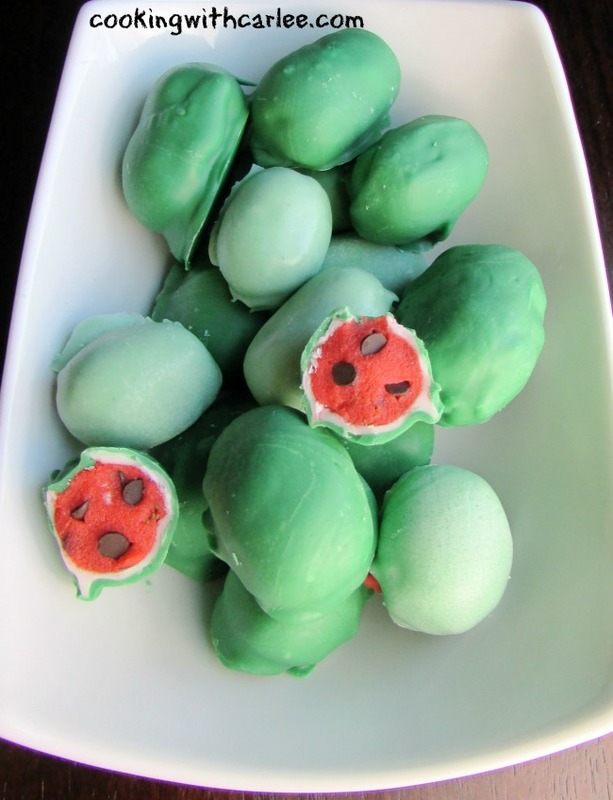 Stop on over and check out the recipe for these fun cake balls and share a post or two at Tasty Tuesday while you are there! Oh my goodness, the cute factor is through the roof!. And I know they are just as delicious as they are adorable! Plus, I think it will be so much fun to make! These are one of the most adorable things I have seen in a very long time! Cute, cute, cute! 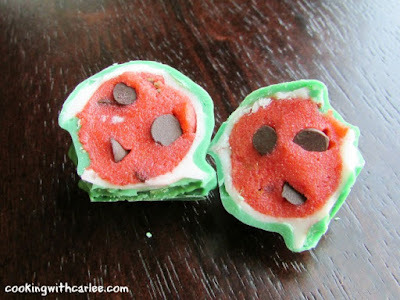 These watermelons are just the cutest things. You are so clever and creative. Thanks for sharing! Thank you! They are every bit as easy as the deviled eggs. You'll have to let me know if you give them a go! Thanks, Julie! I certainly like to have a little fun in the kitchen! Oh my goodness those are adorable Carlee! Thanks, Katie! I've made them a couple of times and they are always a lot of fun! Thanks, Jessica! They are a lot of fun to make and even more fun to serve. It is fun watching people's face as they realize what it is. But the monster cookie bars are good too, it's a hard choice.